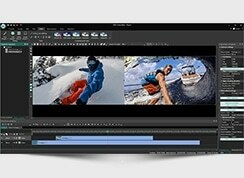 The new VSDC Video Editor version 1.2.4 reinvents video effects! With nine new special effects and over 70 video editing templates in the update, the program delivers extremely easy video creation and application of spectacular effects and scene transitions. Video authoring implies efforts other than shooting too. Cutting a video file and applying effects to it where appropriate is no less important. 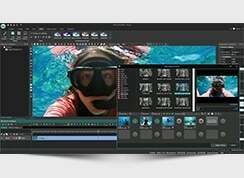 VSDC Free Video Editor is an acclaimed tool for creating and editing videos. The support for all popular video codecs and formats allows the tool smoothly open most multimedia files for editing, while the built-in burning tool easily burns the result of your work to a DVD or Blu-Ray disk. 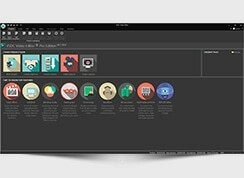 The tool stands out of the competition thanks to its well-structured and really plain interface and the unique non-linear video editing, as the vendor names it. Technically, this means any objects of the video including scenes, images, clipart objects or other graphics can be placed at any position on the timeline and resized freely. Not only is such non-linearity is more convenient than the standard approach with each frame rigidly fixed to the timeline, it also provides to a user multiple ways to express his artistic vision and to embody directorial talents. Although special effects obviously cannot replace talent, they are important too. 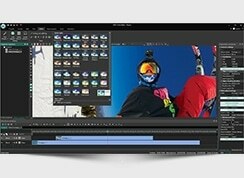 And that’s where VSDC Video Editor is really impressive. A whole bunch of video and audio effects of all kinds covers various transition effects, image transformations, color corrections – thousands of eye-catching effects in total are split into five categories for easier navigation through them. The new version introduces new cool effects like Fade FX that brings in smooth template-based transparency and the Clock effect simulating clockwise appearance or disappearance of an image. Other effects include Page Turn, Diffuse, Wipe Checker and Wipe Random Strips. The update also adds one more group of effects called Special FX. It features astonishing visuals like fire, water or plasma that if applied properly can add to the impression of the video too. 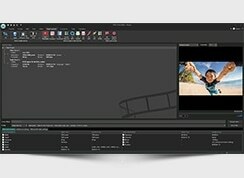 The built-in Wizard allows non-geeks to apply one of predefined FX templates to the image with one click, and the newer version features 70+ more of them too. 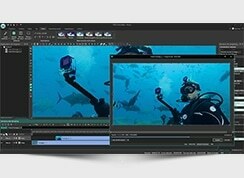 Simple to use and functional, VSDC Video Editor redefines the term “video editing” itself. Applying effects to video, cutting, merging multiple files together is ABC-easy now.